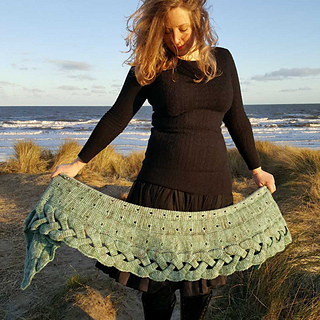 Using tunisian simple stitch, easy-to-memorise eyelets and a dazzling braided edging, this shawl harkens back to the warrior queens of ancient Ireland. Wrap yourself in a legend, with Macha. 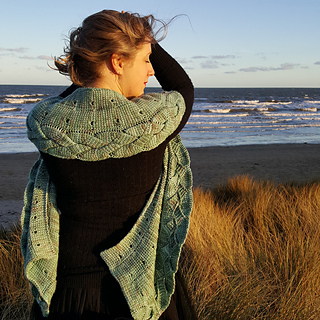 Clear instructions and informative links to explain the linked stitches used in this shawl are included in the pattern text. Note: This pattern is presented primarily in written format, however there are sections that are presented ONLY in chart form for clarity. 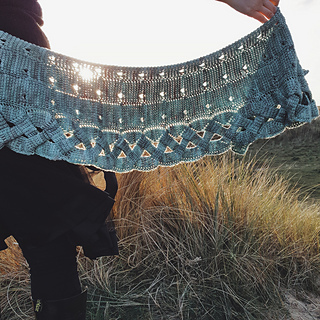 This pattern is currently in its PRE-ORDER phase and will be released to the public on the 28 May 2018. This is pattern 4 or 8 in Legendary Shawls 2. My work can only continue thanks to my Patreon.com patrons. It’s a website that helps fund creatives such as me through small, monthly donations from fans and supporters. In return for a small donation, you will receive exclusive pattern gifts, early access to How To videos, and other great goodies from me. 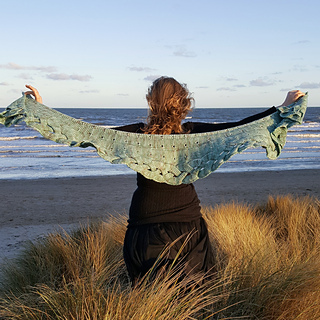 Patreon is making it possible for me to focus more and more on the crochet design work, which will mean more and more shawls in the future!